Wendi Zwaduk - Romance to make your heart race: Snoggin over at Victoria Blisse's Site! I get to be the featured snog this weekend on Victoria Blisse's Sunday Snog!!!! My snog is Over My Head! 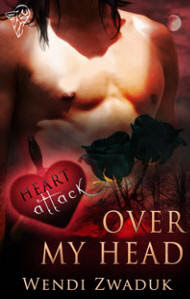 My Heart Attack Collection title currently out from Total-E-Bound Publishing!